They say the devil is in the details. Many ideas — though they appear great on the surface — fall apart when it comes to the business model or the practicality of building such a technology. Here’s how to garner a clear reading of customer appetite, gain entrepreneurial insight, and build an even better product through testing your product’s viability. Running the numbers is vital as you enter the market. It shows you whether your product will affect the market in a meaningful way and, most importantly, entice customers to buy. Factor in the cost of the product build, user and customer acquisition, production, performance, and value. Does your product add up? Will it be worth the cost it takes to create it? In addition to using commercial tools to test code, performance, and other issues, there are two general ways to test product viability. The key is to determine whether customers care enough about solving a specific problem to buy your product. Build an MVP (minimum viable product). This is the most basic version of the concept, but it’s scaled down to its bare essentials and key differentiating properties. Once you have that accomplished, the next step is to test it with a small but uncontrolled user base. Gather as much feedback as possible. Survey the market. Analyze the feedback you received on your concept, and make sure to ask the target audience what they’d be looking for in a similar product. You’d be surprised at how much information the potential customer is willing to divulge. If the technology solves a pain point for them, then they’ll flood you with features or functions they’d like the product to have. Resist the urge to tell consumers everything about your product and its purpose before selling it. The challenge here is to give the sampling pool enough to chew on without giving away the secret sauce. For instance, you might ask consumers, “Would you buy a weight loss program that is designed to work out your abs in seven minutes a day?” However, what you really should be asking is “What is a key decision factor for you in buying a workout program that focuses on abs?” By asking the question this way, you’ll get answers you can digest and use to improve your product and the way it’s received. You’ll also open the door for valuable insights about opportunities you haven’t yet considered. Testing your product on friends and family is common and useful. But with tech products, I also recommend asking a developer or tech-savvy person who did not code the site to test it for common issues. A different set of eyes and a different frame of mind can do a lot of good. A developer is usually immersed in code for months before a project is released; he can’t possibly see all of the issues when involved with it for so long. Sometimes, the obvious is what needs adjustment. If you get to market quickly — even if your product is not perfect — you can gain valuable early market traction. In addition to having a first-mover advantage, an early release will help you avoid overbuilding the concept in a “vacuum.” The temptation for entrepreneurs is to try to get every little feature perfect when the reality is that the market hasn’t validated any portion of the concept. The truth is that major features (not minor improvements) drive change. Consider the following: If you could buy a solar-powered car that you never had to charge or fuel for as long as you owned it and it only cost $10,000, how much would you care that the car came without a spare tire? Would that break your buying decision? Think of your product the same way. By not including a feature, will you kill your business model? Or will the customer still buy, sign up, or engage with your product? Get the major benefit of your invention to customers now, and work out the details as you go. By allowing the market to help you finish your product, you’ll stitch up the final pieces in a way that addresses key consumer pain points. Not all of the ideas will be perfect. However, invaluable trends will emerge in the feedback you receive, and it’s vital that you’re open to them. There’s a play on an old saying by successful entrepreneurs: “If it’s perfect, you missed the market.” The sentiment couldn’t be truer. Iteration, quick releases, and adaptation to the market are the key drivers to growth and stability. Testing is important, but you can expect failure from time to time. Just be prepared to capitalize on it. 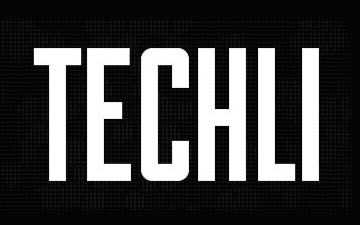 Ruckus president Alex Friedman contributed this article for Techli. The original article can be found here.